She sits beside the child for a moment. The marsh fills the window behind her. The old glass wavers the shifting fields. Flooded ground, this house was built on. Truro, Cape Cod. Even the name of the place sounds strange to her. A long way from Rwanda, though there were marshes in her country too. And birds, with their songs of praise at dawn. Soon it will be light enough to leave the house. She has her coat on already, encased in the heavy puffiness of it. Her canvas bag is tucked under the bed. It is Christmas Day; still very early in the morning. The child will not close his eyes. He is always fighting sleep and she knows no ways to coax him into it. No song, no whispered words. His hand is curled in a fist against his cheek like a small shell. Gabriel, he is called. It is not a name from her country. A Congolese pastor in the camp gave it to him. She had another name under her tongue, but the pastor said that the child needed the name of an angel. That it was a good name for a boy who would grow in America. So she said nothing and let him choose the name he wanted. The last name was wrong, too. They did not know, the people who had written on the papers to come to America, that in Rwanda each child had its own last name. A name from their language, chosen with a special meaning for that child, not something shared with others in the family. On the papers for the baby they wrote her own last name, the one her mother had chosen for her alone. Nsengimana. ‘I pray to God’, it meant. An answered prayer, a child of faith, she was, the first to live after two born dead. She had been sure that her own baby would be born dead too, or would be something monstrous. She had not seen that they had written the wrong name for the child until the two of them were in America and she lined up the plastic cards she had been given – one to buy food in the stores, one to show to the doctor at the clinic. It was too late then, to change it. It was easier, they had told her. Easier for them both to have the same last name. It was the way it was done in this country. Families were knitted together with the same name. The child is sleeping at last, his head making a shallow dent on the white pillow. In the city, before they had met Marina, the little boy had cried and cried. She didn’t know where he found the energy for so much crying. If she stepped into the other room and shut the door against him, the noise would eventually become a low whimper. Other times he would wail until he fell asleep, and she would find him curled up under the table, his cheek against the floor. If it was cold she would put her winter coat over him and in the morning he would be wrapped in it, like some small bird in a nest, staring up at her as she moved around the kitchen. As though he were afraid of her, that look. As though she were something to cause him fear. It still surprises her sometimes, when she looks at him sleeping, that he could have come from her. That he could really exist in the world. And yet here he is. All the times she took him to the clinic in the city to be poked and touched and measured, to be given medicine or needles, it was in her mind that they would not give him back to her. That they would say it was enough now, would know she was not to be trusted with him. But they did not. Just gave her a bottle of medicine or a bright candy for the child and that was it, a smile and the door opening, someone else walking through as she lifted him on to her back in the waiting room and tied the wrap under her breasts. That was one thing she had remembered, after all – the folding and tying of fabric. The way to carry a child. She places the empty bottle on the nightstand and presses the blanket in around his chin. Always watching her, this child, following her from room to room as soon as he could pull himself across the floor. And yet she cannot look at him. Slides her eyes away. ‘Utabazi’ was the lost name she chose for him. It means ‘he belongs to them’. So small he looks, folded under the heavy blankets. She knows the weight of him, has carried him tied to her back through the streets of the city. But now he will grow without her. How long until her body forgets the heft of him against her, the damp heat of his cheek through the fabric of her wrap? Soon he will be too heavy to carry, he will walk holding someone’s hand. She bends to pick up her bag from under the bed. She needs to be far from the house before the others return. On the blanket beside the child she places the two plastic cards with his name on them, the little booklet from the health clinic, the travel paper with the stapled-on picture. In the photograph he is only a tiny baby and his face is all wail and tears. Her hands are there in the frame, holding him up into the flash of the camera, her fingers against the white of his too-big shirt. At the door she looks back at the bed for a moment, then steps out into the hallway, turning the latch softly. The house is still and dim, all the curtains left open to let in the light when it comes. There is nothing else she has to leave behind for the child. She cannot write a letter, does not own a string of beads to place around his neck. Better that there is no memory of her. Better to let herself dissolve in him without a trace. He is too small for remembering. The morning is pungent, rain-wet. A stand of trees leaning over the path. Beyond them, the shapes of the town shimmer mistily, as if under waves. She walks away from the house, past the covered bins and the wooden letterbox to the road. More light will be in the sky soon. She stands still, staring at the rows of silvered fences, the gardens smoky with fine rain. Then she sets off along the side of the road, her feet leaving dark shapes on the wet grass. Marina often found herself wondering when the first murmurs of Constance’s plan had begun to stir in the girl. Whether it was something she had calculated from the beginning, an agonising scheme with a coiled heart of mercy in its reasoning, or if it had been pure desperation, slipshod and hasty. In the years to come Marina would travel back in memory, trying to order the strange unfolding of that summer. Sometimes she believed that the seed was sown on that first day on the street in Harlem; the small rehearsal of intimacy with the little boy. That Constance had simply been biding her time through that summer and the fall. Surely there had been hints of what the girl had intended, which Marina had failed to see, as she had failed to see so much that summer. But perhaps we know nothing with any certainty. Jacob would tell the story differently. He would say that it was her own need blossoming that made it possible for the girl to loosen her grasp on her child. That what happened was more Marina’s doing than anyone else’s. And Constance? They would never know how she would tell it because she had cast herself without a trace into the wind, to be carried off with all the disappeared, the wanderers and the unhoused. Constance was gone, but they would forevermore be forced to consider her. Her life, however little they knew about it, was now inseparable from their own. 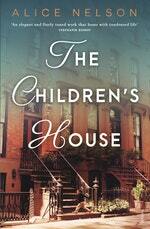 Those first summer months in Harlem ran together in Marina’s mind into one long spell of raw, roiling heat. The swelter and noise of the streets, the dazed shimmer of the afternoons, the thick balmy fog of evening. Hot blasts of air rose up through the subway grates; the rumble and clatter of the trains below them seemed louder than in other parts of the city. It was hard to imagine that fall would ever come. In the neighbourhood a strange sense of solidarity formed with the heat; a feeling that they were under siege. Conversations were full of marvelling at the unreasonable extremes, the persistence of the heatwave. They were united, all of them, in the surrender it required. Sometimes consolations were offered, hopeful observations that the temperature seemed kinder today, that the weather might break soon. Everything about Harlem was extraordinary in those first months. The men from the Caribbean holding out their wares to passing traffic on Second Avenue, the curandera with her painted windows and strings of herbs, the old Italian women sweeping their steps, the foragers and can-collectors, the beggars yawing their way up the subway steps with their paper cups held out in front of them, the young Mexican women selling tamales on the street corners. All seemed foreign and magical. These unimaginable lives, the lost streets, the shopfront churches, the tenement buildings scaffolded with fire escapes – everything seemed to contain a story. ‘Hey, Romeo. Hey, Juliet,’ the panhandler who sat near the gate to Mount Morris Park called out to her and Jacob every time they walked past. ‘Spare any nickels? Dimes?’ The same refrain, every day of the summer, and the sharp jingle of his cup. Marina gave money often and haphazardly, sometimes a handful of coins, sometimes a ten-dollar bill. It was like a tax on her presence here, she felt, in a neighbourhood that belonged to others. 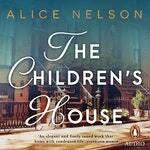 She and Jacob had bought the brownstone on 120th Street the previous winter. 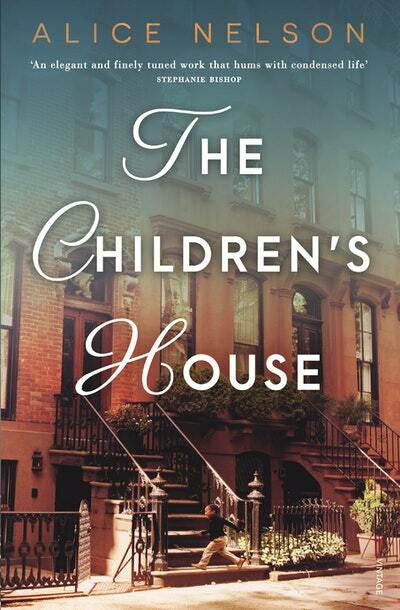 Since she had first seen the tall, narrow house on the edge of Mount Morris Park, something about it had burned in her. The crumbling façade, the curved bay window, the wild, shady square of garden with its ruined grotto – it all seemed so enchanting. The house had been owned by a small order of nuns who had lived there for half a century until the last of them had grown too old to manage and they had moved to a retirement home upstate. Before she and Jacob repainted the house, Marina had collected the wooden crosses that had been left hanging high on the wall of each bedroom, mementoes of the devout old women who had knelt each morning on the hardwood floors and slept in narrow iron beds. She liked the idea that it was a hallowed space. That it was possible to live in a state of grace. 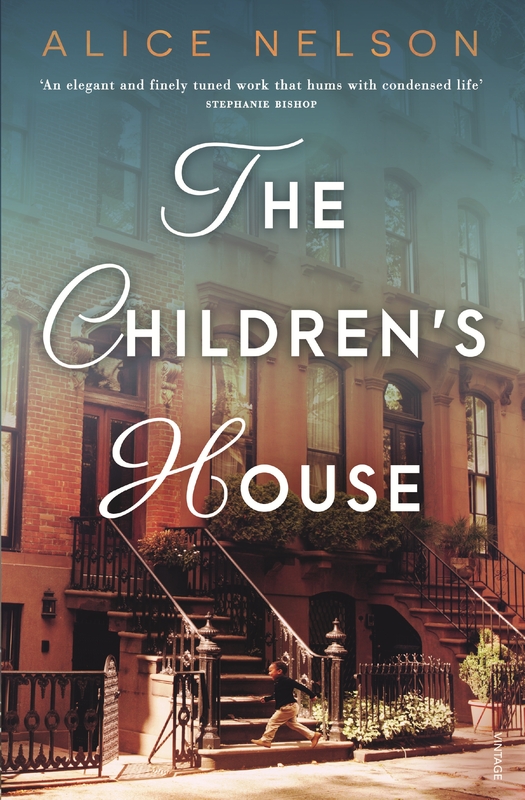 She imagined the nuns drifting down the stairs, dipping their fingers into the small brass bowl of holy water that was attached to the doorframe when she and Jacob first came to see the house. Eight nuns had lived here, the real estate agent told them. Before that, several Italian families, dividing up the four floors between them. With just Marina and Jacob and his son, Ben, the house felt oddly unpeopled. It was the largest place Marina had ever lived. Originally they had planned for Jacob to move his psychiatry practice here and see patients in the room below the level of the sidewalk, the one with its own door tucked under the front stoop. The nuns had held soup kitchens and prayer meetings there, so it would be perfect for his secular ministrations, Jacob joked. The compromised light could be fixed with lamps, the room would be suffused with a dim, intimate softness. They chose a long linen-covered sofa, a new leather armchair, and printed and framed a photograph that Jacob had taken of the pale spread of clouds above the ocean. But after they moved in Jacob hesitated. Living here now, he was no longer sure that his patients would be comfortable coming to Harlem. Marina knew it was not just that. The brownstone on 22nd Street in Chelsea where he worked was an enormous part of his life. It had been his own analyst’s practice for nearly half a century, the lease passed on to Jacob like a kind of baton when she retired. He loved the ease of the brief walk from his office to NYU, where he taught in the School of Psychiatry two afternoons a week; the park bench by the great arch of Washington Square where he ate his lunch when it was not too cold; the café on the corner where they knew his order. So much of his life took place in that room, so much of his thinking was framed by that view from the bay window, the sun playing over the stone faces of the houses across the street. When the time came, Jacob could not bring himself to give up the practice in Chelsea. They could afford the rent – it was not a question of money, he said. What was it a question of, really, Marina had wondered, staring around the beautiful room they had prepared together for him in Harlem. She could not help thinking that part of Jacob’s clinging to the practice in Chelsea was so he could keep something that was purely his own. A private sanctuary away from the life of their household. Marina knew that some days he lingered at the practice long after he had finished with his patients. He would lie on the leather sofa, his legs draped over the arm, a book in his lap. He liked to feel the silence of the room, he had told her once, after a day full of talking. It took at least an hour, he said, after his last patient had left, for the echoes of the voices of the day to stop sounding. For his mind to feel uncluttered. Marina could hardly begrudge him this: her writing was a secret room, too; a place she retreated not wanting to be followed. It was hard for her to surface sometimes after a day of work, for the real world not to feel thin and elusive. Even after nearly a decade of marriage there were elements of her husband that were still a mystery to her. In spite of all the things they knew about each other, small and large, there were depths that had not been plumbed and perhaps would never be. Sometimes Marina felt that they had both consented unconsciously to be their best selves, to maintain a graciousness in their intimacy that might have fallen away much earlier in other relationships. A marriage can’t stand too much trouble, someone had once said to her, and she believed this to be true. For her and Jacob, this love was an unexpected bestowal of grace, a rare and miraculous second chance. They knew this and it made them careful with each other, and careful with their love. It was to be cultivated and tended. They paid attention to it in a way they might not have, had it not come after considerable sorrow.